Don’t just ask the bees. Cobey explained that humans have recently used math to find out why hexagons make the most sense. “The geometry of this shape uses the least amount of material to hold the most weight,” she said. It takes the bees quite a bit of work to make the honeycomb. The wax comes from glands on the bees’ bellies, or abdomens. Honeybees have to make and eat about two tablespoons of honey to make one ounce of wax. Then they can add this wax to the comb as they build. A bee colony can produce 100 pounds of honey, Cobey said. In some places they can even produce 300 to 500 lbs. The structure is important to hold all this weight and protect the honey, especially during winter. The hexagon might just save bees some time and energy. They can use the energy to do another really important job: carry pollen from flower to flower that allows new plants to grow. It’s my cat instinct to swat at a bee, but I try not to because bees are really important. They make it possible for us to eat food. Having a sturdy and useful hive can help bees get the job done. Not too long ago, some scientists wondered how exactly the bees build these hexagons. They found certain bees would start out making circles in the wax using their body as a tool. Scientists don’t really know why it happens, but the bees seem to be using their body heat to melt the wax from a circle shape into a hexagon shape. Hexagons and honeycomb shapes are also useful for building things humans use, too, like bridges, airplanes, and cars. It gives materials extra strength. After all, materials made with hexagon shapes can also handle a lot of force, even if they are made out of a lighter material. That’s what I learned from my friend Pizhong Qioa, an engineer and professor at WSU. For having never done a day of math homework in their lives, bees sure seem to use some creative geometry and engineering to build their headquarters. 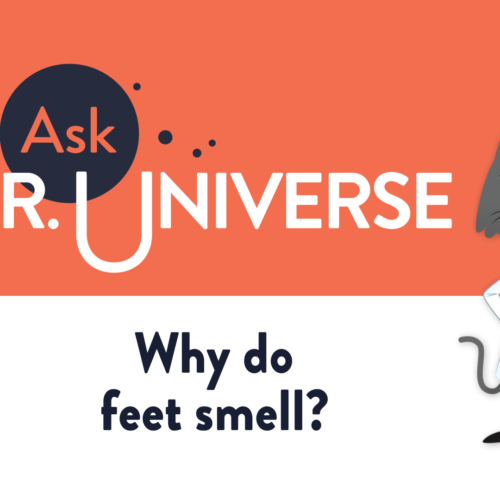 – [Narrator] Hey cool cats, I’m Dr. Universe, here to answer your baffling science questions, like this one. 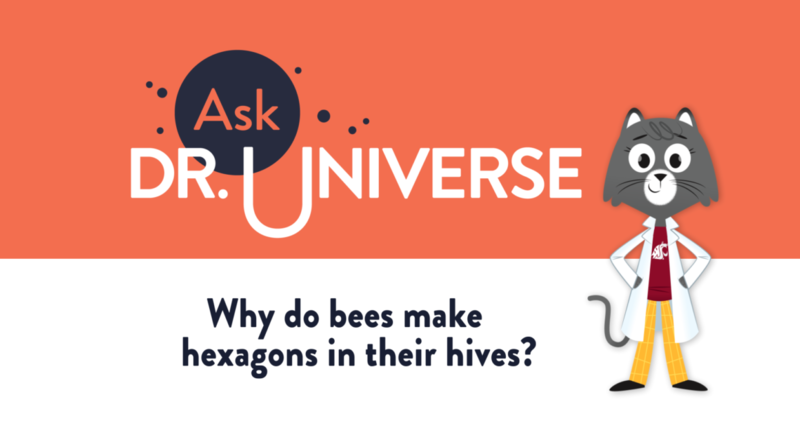 Why do bees make hexagons in their hives? When bees make hexagons in their hives, the six-sided shapes fit together perfectly. You know, if you think about it, other shapes wouldn’t work quite as well. Circles would leave gaps in the honeycomb. Squares and triangles wouldn’t leave gaps, but the hexagon works even better. The hexagon uses the least amount of material to hold the most weight. Bees can use these hexagons to store things. The queen bees eggs, pollen, and honey. For having never done a day of math homework in their lives, bees use some pretty creative geometry and engineering to build their headquarters. 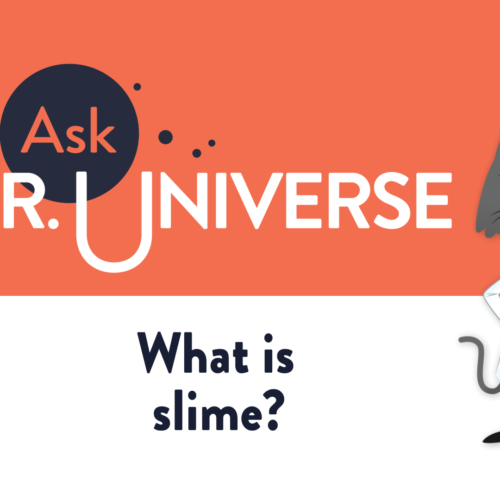 You can send your own science question to Dr. Universe at Washington State University. 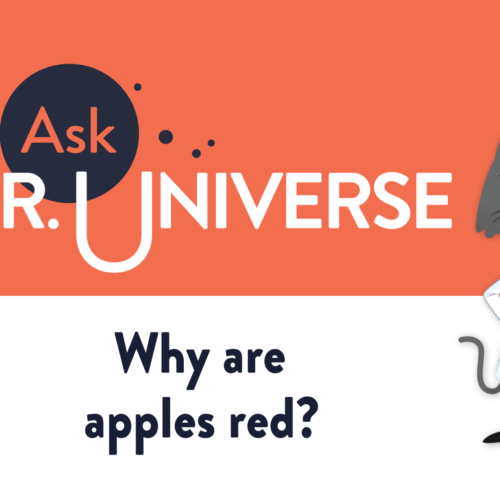 Visit AskDrUniverse.wsu.edu.